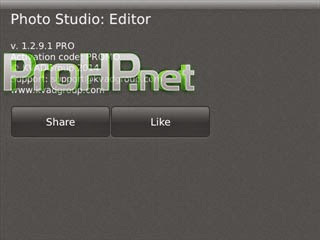 Photo Studio PRO v1.2.9.1 – Photo Studio for BlackBerry® is utilized by both amateur and professional photographers who seek simple, but powerful image processing on-the-go. Users can turn their BlackBerry® into a fantastic photo editing studio. – BBM™ Connected! Share your photos directly from Photo Studio. – Base photo operations: brightness, contrast, RGB color adjustment, hue, saturation and transform operations: resize, rotate and crop. – 115 unique filters in categories: “Simple toning”, “Old Style”, “Vintage”, “Summer mood”, “Sketch”, “Lomo”, “Blur” and “Art”. – Apply set of beautiful digital frames to your photos with packs: “Christmas Frames 1”, “Christmas Frames 2”, “Frames Pack 1”, “Valentine’s Day Frames” and “Summer Frames Pack”. – PicFrames helps you combine multiple photos into amazing looking frames with 60 templates. – Color Splash editor: create stunning artwork with your photos by removing or changing colors! – Magic tools: auto-levels, sharpening, red-eyes correction. – Share photos with Facebook, Twitter and Messages applications installed on BlackBerry. – Open API for developers: now you can integrate your application with Photo Studio. – Supported languages: English, German, Spanish, French, Russian and Dutch. Contact us if you want localization to your native language. 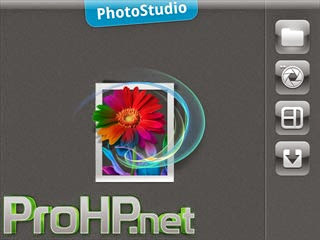 – PRO version includes unlocked packs “Filters Pack 1”, “Frames Pack 1”, “Christmas Frames 1”, “Christmas Frames 2”, “Valentine’s Day Frames”, “Color Splash editor”, “Summer Frames Pack”, Magic Tools and “PicFrames”. This is PRO Version, No need key.